As a striking contrast to a handsome, classically styled home in Connecticut, John Mastera Architects chose the durable yet extraordinarily beautiful African sapele tropical hardwood for the exterior roof structure and trellis. 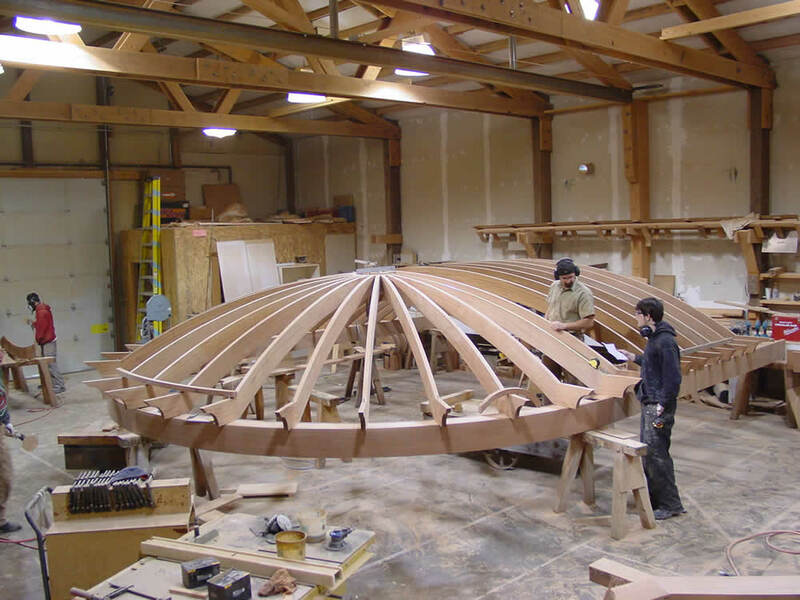 Sawn from solid, air dried sapele, GRPC sliced and glued the arch members of the dome structure along with the larger compression ring and the smaller tension ring. 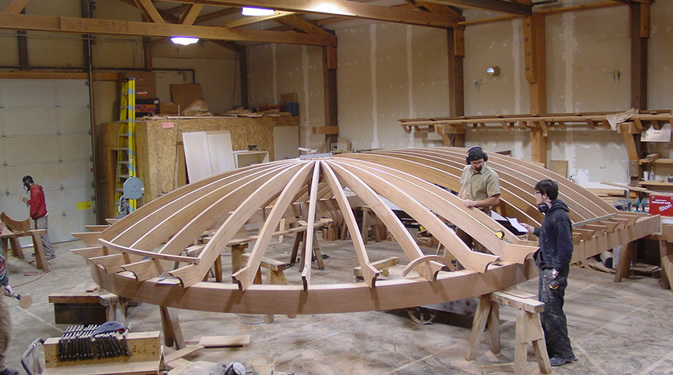 All rafters, both curved and straight, received an elegant, sawn ogee end detail. The entire roof structure as pre-assembled in our shop and then disassembled, labeled and shipped to jobsite.